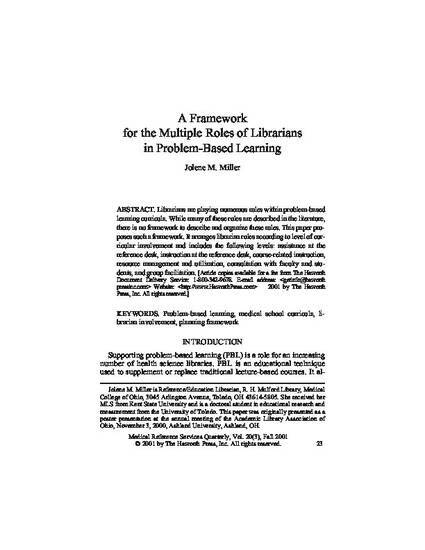 Librarians are playing numerous roles within problem-based learning curricula. While many of these roles are described in the literature, there is no framework to describe and organize these roles. This paper proposes such a framework. It arranges librarian roles according to level of cur-ricular involvement and includes the following levels: assistance at the reference desk, instruction at the reference desk, course-related instruction, resource management and utilization, consultation with faculty and students, and group facilitation.